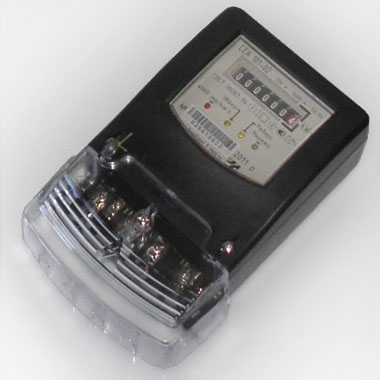 Single-phase static electric energy meter SEA 101 is used for measuring of active electric energy in twin-lead alternating current circuits at enterprises as well as at private apartments. Electricity Meters are an ideal solution for your energy management: they can be freely extended with communication modules and special function modules, thus enabling your energy meters to keep pace with your growing requirements. Future-proof planning and investment are therefore ensured. Number of registration in the State Register of Measuring Facilities – У2802-08. Energy meter SEA 101 complies with the following standards: ГОСТ 30207 and СОУ-Н МПЕ 40.1.35.110-2005.
calibration interval – 16 years. To get more detailed information on Energy Meters, and how to buy the Energy Meters please call: +38 (044) 291-00-41 or send an e-mail: info@sea.com.ua.